Jimmie “Jane”, age 87, was born to William Harrison and Nanie Elizabeth Alsip on June 11, 1931 in Whitley County, KY. She married Richard L. Stauss Sr. on June 13, 1952. Together they had nine children, thirty grandchildren, sixty-six great grandchildren, and eight great great grandchildren. She passed away peacefully in her sleep at her residence in Clermont County, OH on August 10, 2018. She was preceded in death by her husband Richard L. Stauss Sr., father William Harrison, mother Nanie Elizabeth Alsip, siblings Hobart, Hubert, Viola, Dovie, Mary, and Lilly, sister-in-law (good friend) Frances, sons-in-law Jesse, Wally, Lonnie, and Thomas, granddaughter Amber, and great granddaughters Dani Rae, and Kiley. She is survived by brother William (Frances) Alsip, children Dovie (Gregory) Collins, Amanda (Wally) Richmond, Richard Stauss Jr., Frances (John) Welte, Mary (Charles) Thompson, Roberta (Lonnie) Carter, Ellen (Thomas) Townsend, James Stauss, Margaret (Jesse) Neanover, 29 grandchildren, 64 great grandchildren, 8 great great grandchildren, and many nephews and nieces. Funeral Services will be 6:30 PM Wednesday August 15, 2018 at the Thompson Funeral Home. Friends may call from 5:00 PM until time of services on Wednesday at the funeral home. In lieu of flowers, donations may be made to World Wide Organization of Jehovah Witnesses at jw.org. 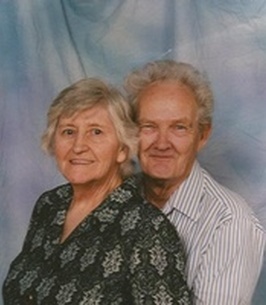 To send flowers to the family of Jimmie Jane Irene Stauss, please visit our Heartfelt Sympathies Store.